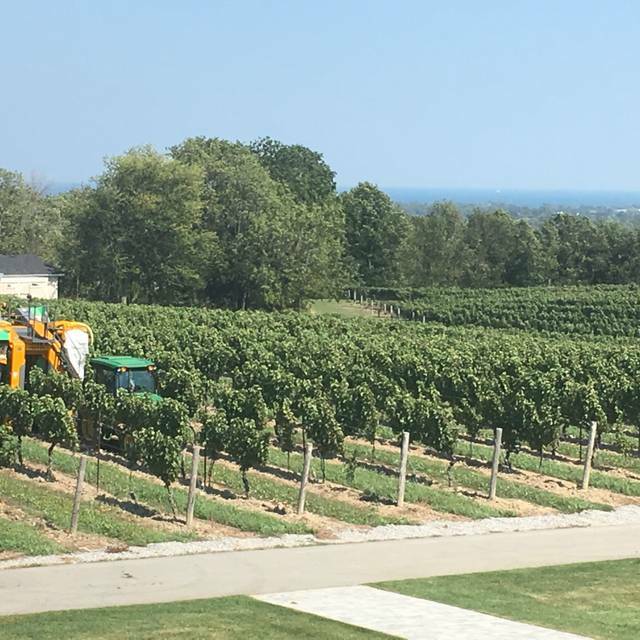 Imagine dining and enjoying the stunning view of our vineyards and lake Ontario in the distance. Headed by Executive Chef Justin Downes, our talented team of Chef's create Niagara cuisine utilizing the freshest local seasonal ingredients. Toronto Life Magazine, Gourmet Magazine, Zagat Dining Review, DiRoNa and Food Network Canada have all recognized our 4-Diamond Restaurant as the quintessential wine country dining experience. For a unique experience, ask us about arriving by helicopter or extending your wine country experience by staying in our private Bed & Breakfast Cottage and the Estate Guest House. Groups welcome! Allow us to "wine and dine" you like no-where else in our Restaurant with its panoramic views of the vineyards or in our charming stone Carriage House with it's intimate surroundings and view of the vineyards and Lake Ontario off in the distance. This menu is created daily by our team of chefs, to showcase seasonal ingredients sourced from local farms and foragers. Wine pairings are selected through collaboration with our chefs and our estate wine professionals. We are very proud of this menu and we welcome you to join us in our culinary adventure. Menu - $90, wine - classic - $45 (comp for wine club members) - reserve - $65 ($20 for wine club members). This has long been one of our favourite dining spots anywhere in North America or Europe. 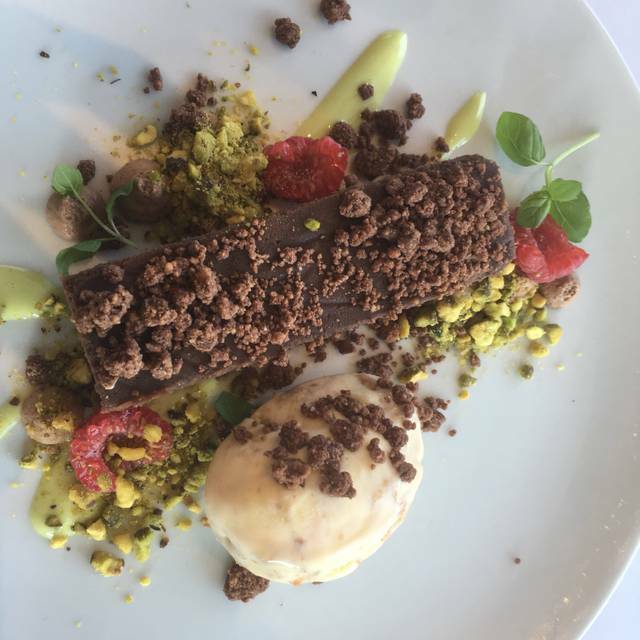 The setting is spectacular and the food remains as good as ever - always fresh, always focused on local produce and always wonderfully flavoursome . The serevice, again as always was outstanding - attentive and professional but not intrusive. We will be back. The setting is very nice, and the servers although they seemed quite green, were nice also. The pork scrapple appetizer was delicious. We were disappointed to find truffle oil had been used in our $50 beef tenderloin entrées. We were very surprised to see a restaurant that calls itself fine dining to be using this inexpensive chemical flavouring agent which in no way actually resembles authentic truffles. We could see from our appetizer that clearly the kitchen is capable of producing wonderful food and we would suggest to them that they are better than this. We are wine club members and have been enjoying meals at Vineland for years! It is hard to talk ourselves into going anywhere else!!! Only thing is that we thought the music was a tad loud.. and maybe not right for the ambiance. An amazing restaurant! My wife and I have been here many times, and we love the food each time! The wine pairings are excellent, and the view is amazing. Started with the pork belly and it was superb, Cornish hen and chuck flat were both equally amazing. We barely had room for desert the cheesecake was perfect size for what little room I had left and the maple tart was very good. Service very good and professional. Michelin star quality, good food, outstanding services and excellent view. Yummy gelatos, must try. the whole meal, the service and the ambiance and view were spectacular. The food was as advertised and the wine to accompany was great we could not have enjoyed it more. Hopefully they will run it next year and we will be back. Excellent food presentation, flavours, and portion size. Superb service. The food was exceptional. I love the winter menu and prices! 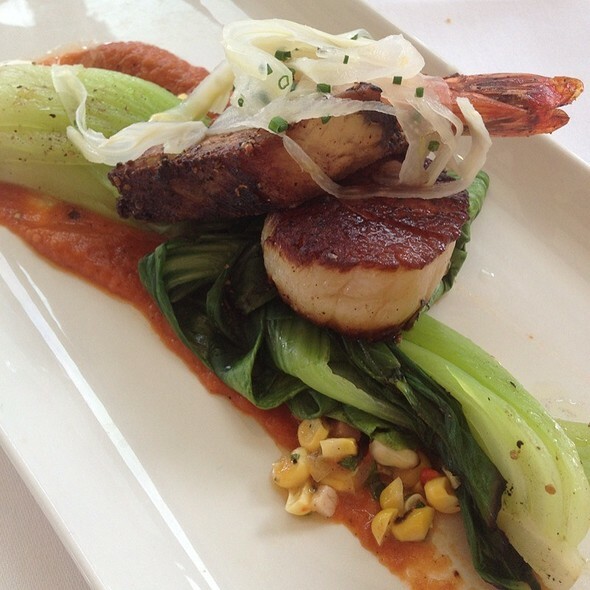 We tried their special chef selection and the winter prix fixe menu and found them to be of amazing taste and value. That said, the portions were big enough that we could have shared and still be satisfied by the end. The service was outstanding, they were very helpful, attentive and unobtrusive. Our wine glasses were magically always topped up. We cannot say enough about the view. One of the best spots to eat while watching the sunset. We will definitely be back. Food quality and service are consistent with our many visits in past years. Will keep returning though we live in Toronto. Food price is very affordable except fresh oysters. Wine is reasonably priced. Window views are peaceful and bright. Grape trees are grown everywhere. Nice place to enjoy eating and past time. Came for the winter lunch menu. Food was delicious and impressive. Great value for the price. Service was fantastic. Food was well done; wine was decent. First let me say that the service was good, although she did make a few errors and forgot a few things..but she very apologetic and did her best. The food on the other hand was disappointing for both of us. My partner had the soup and it was quite good although the waitress said it came topped with sweat breads and it came out with cracklin....a bit of a difference. I had the pork belly and it was okay but kind of bland. We both had the quail which was a little over cooked and dry. The cheesecake for desert was good but tiny. I am all for smaller portions but that was ridiculous. For my tastebuds....it just seemed like the chef was trying to do too much, too many flavours on one plate that just did not work synergistically. Cappuccino was cold, they replaced it but the barista obviously did not preheat the cups. The atmosphere was good, not great....large open rooms and brightly lit. Its a shame because it is a beautiful location. Excellent food! The food was delicious and was plated well. Would recommend to all my friends. Can't wait to go back. Best meal in Niagara Region. Always an amazing meal! Love the ambience, the view and the service! Had a lovely chef’s dinner the other night. Food was excellent with many interesting combinations and very nice seasonings. We enjoyed it immensely . 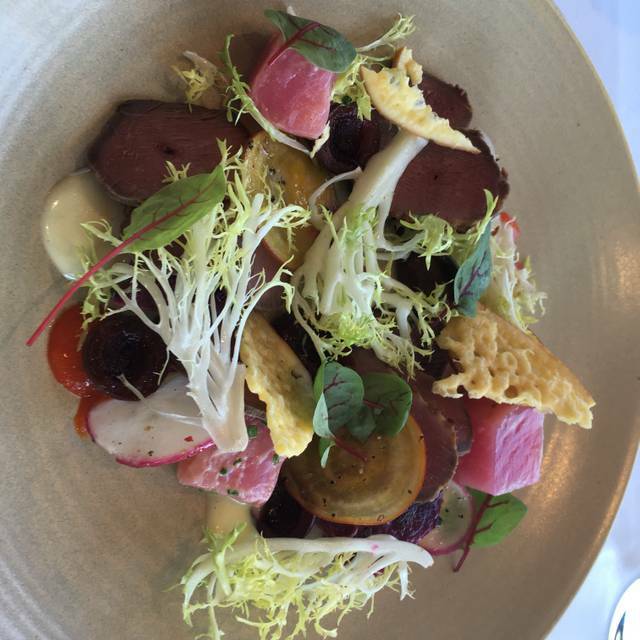 Wonderful, inventive cuisine with attentive staff and great wine. The food and service were amazing!! For sure, one of the best restaurants I ever been! Had the gnocchi. Hands down - the absolute best meal in a very long time. Seriously - chef's should win awards! Staff were attentive. Food was excellent, and the portions were perfect. The atmosphere was wonderful! My husband and I both enjoyed having lunch while enjoying the beautiful view of the winery, as well as, sitting around the woodstove afterwards! Loved it! Our experience started off on the wrong foot. When I booked our reservation for Valentine's Day I noticed that they had two menus. One was themed for the 'special day' the other was an a la carte menu which was less expensive but also had vegan options which are mandatory for my diet. I selected two a la carte reservations but when we arrived we were told there was no a la carte menu and we would be served the themed dinner which was nearly twice the price as the one I thought I had selected. When our dinners arrived my wife's included items like steak and oysters while mine was basically pasta and salads. We paid the same price for both meals and had a bottle of sparkling wine which we were told was on sale but for which we were charged full price. Granted the food was good, although no one asked my wife how she preferred her steak prepared (She likes well done. 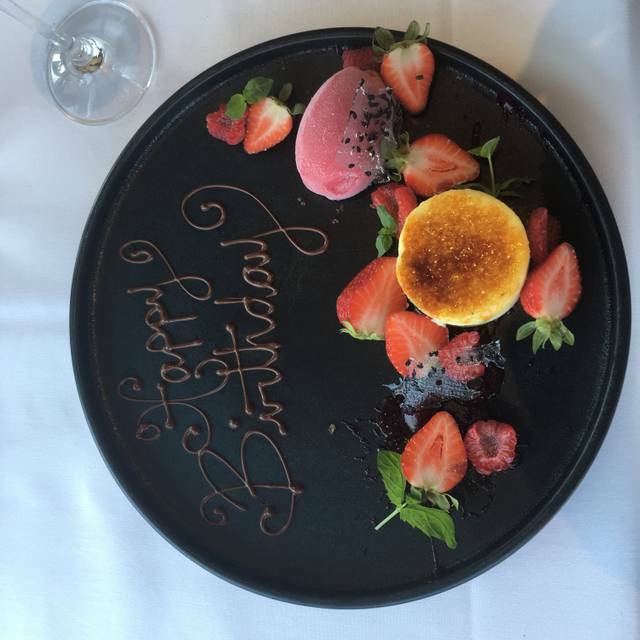 It was very rare) but it certainly wasn't much of a value and frankly I thought rather pretentious with more concern for the chef's tastes than for the guest's. All in all the dinner was an experience but not one I will soon choose to repeat. We have come to this restaurant for our special occasions since we moved to the area The food is beyond excellent. Servers know the food. 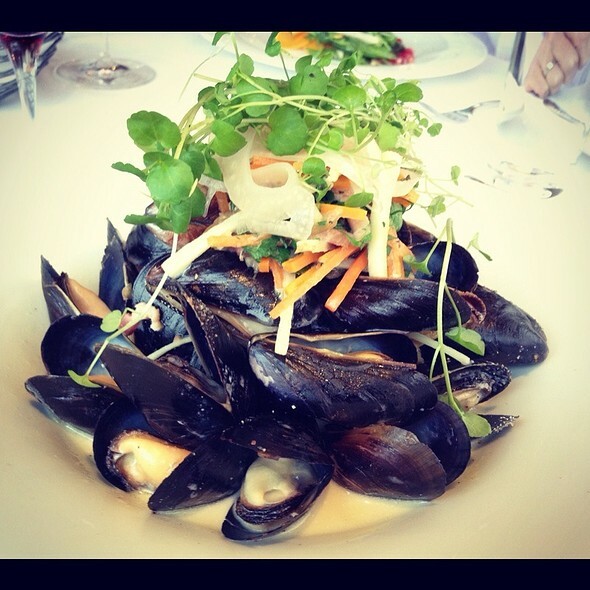 Outstandingly delicious courses as beautiful to look upon as they are to eat! Wine pairings complement each dish elevating the entire dining experience. Knowledgeable staff provided exemplary service. 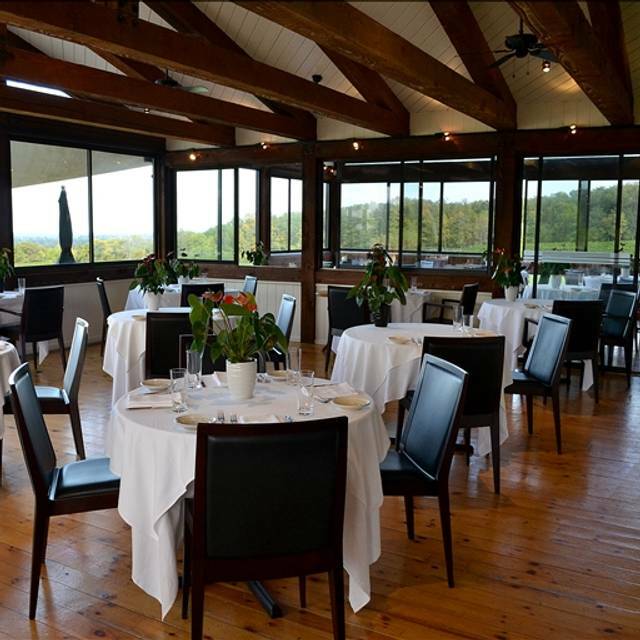 There is no better way to celebrate with the ones you love than dinner at Vineland Estates Winery Restaurant! We do a yearly trip to Niagara-on-the-lake every year for a wine weekend with a group of friends. We always go up on Thursday just to have the chance to have a dinner at Vineland. We have never been disappointed. We usually do the 5 course tasting menu with wine pairings. The chef is inventive, the ingredients are unusual and the combinations of flavors are marvelous. We have never been disappointed. It is pricey but worth every penny! Amazing. Loved every aspect of our meal. Will definitely be returning. Very quiet beautiful views from f the vines and Lake Ontario. Service was super and food was tasty and well prepared price was less then expected. Will go again wine was also exquisite had the 2015 Cabernet Frank and purchased a couple of bottles to take home. I had been to this restaurant maybe 10 or more years ago for lunch and thought it was "OK". But Friday night's 5-course meal with wine pairings was exceptional. Service was fantastic. Will definitely not wait another 10 years to return. I've always enjoyed my meals at Vineland Estates. 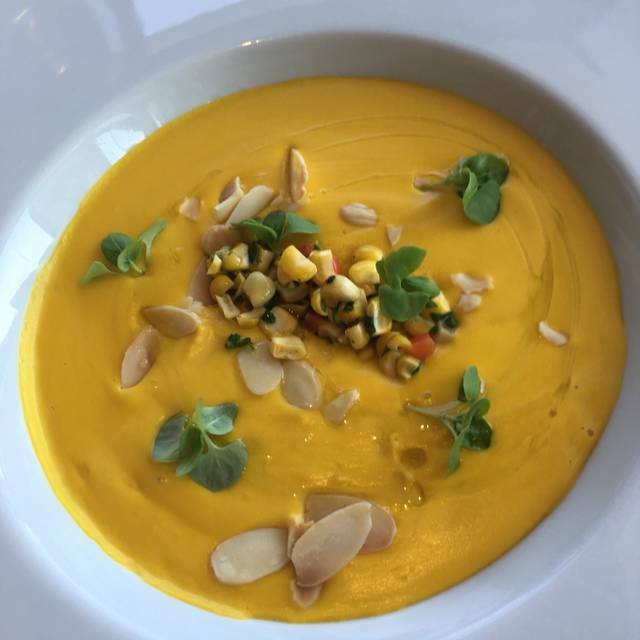 They have consistently good meals and use local, quality ingredients. I recommend the chef's tasting menu with a wine pairing if you can. This night, our 5-course meal started with some oysters as an amuse-bouche, a pear and parsnip bisque, a chilled lobster and shrimp salad on frisee with double-smoked bacon, some delicious ricotta tortellini, sliced ribeye for the main, and a blackberry panna cotta for dessert. The classic wine pairing was free if you're a member of their wine club, and it's worth signing up, even if you just do it at the table. Suggest changes to the lighting—lower interior intensity (understand you want to ensure dishes are displayed appropriately) but it’s too bright with the contrast of the darkness outside. Suggest installing exterior lighting to compensate. This would create a much better ambiance. 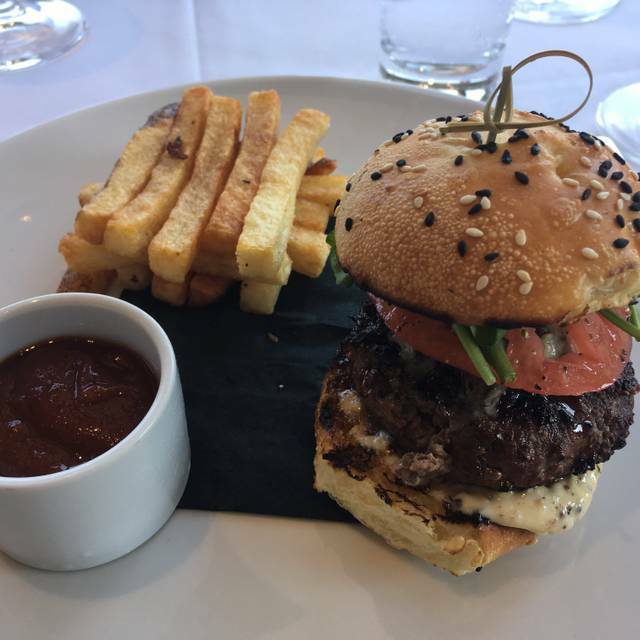 Our experience at Vineland Estates Winery Restaurant was exceptional from beginning to end. We were seated at a lovely table directly in front of the fireplace on a COLD winter night. There were many appealing options on the menu, both for appetizers and mains ,but when our waiter explained the “tasting” menu for the evening we all decided to go for that. We were not disappointed. Every course had lots of different flavors and we thoroughly enjoyed our meal. Definitely plan to return and would highly recommend this special place. Fantastic meal. We tried the 5 course with wine pairing. Everything was so delicious and beautifully prepared. This restaurant never lets you down and the service was amazing. Very quiet and romantic. We had New Years Eve Dinner here, just my husband and I. It was a busy place - as you can imagine for this time of the year. However in spite of that, the staff were kind and conscientious. The Chef came out and greeted us at one point during our meal. The vista in winter is great, can you imagine it in the spring / summer / fall? Thanks to all for a memorable occasion. Excellent food and superb service. The food is prepared with great care and expertise. Each dish is a superb marriage of flavours. Wine pairing is great and all from the winery. Has a beautiful view on the estate.